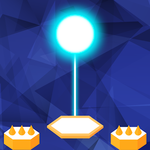 Blue SpaceLab — Android App Sold on Flippa: Android Game - Over $10 Revenue! $85,000 worth of information for the BIN buyer! Android Game - Over $10 Revenue! $85,000 worth of information for the BIN buyer! Blue SpaceLab has all the potential to become popular. Looking for someone able to skyrocket this to the top charts. Serious bidders only!